Once a tax sale purchaser has acquired the deed to the property, the next step is to clear the title sufficiently to satisfy the insurability standard and obtain title insurance. Oftentimes, obtaining clear title is not so easy for many different reasons. The Louisiana doctrine of “le mort sasit le vif” – “the dead give seizing to the living” complicates the process for tax sale purchasers because there is no need for written or notarial documents that evidence the ownership of property. 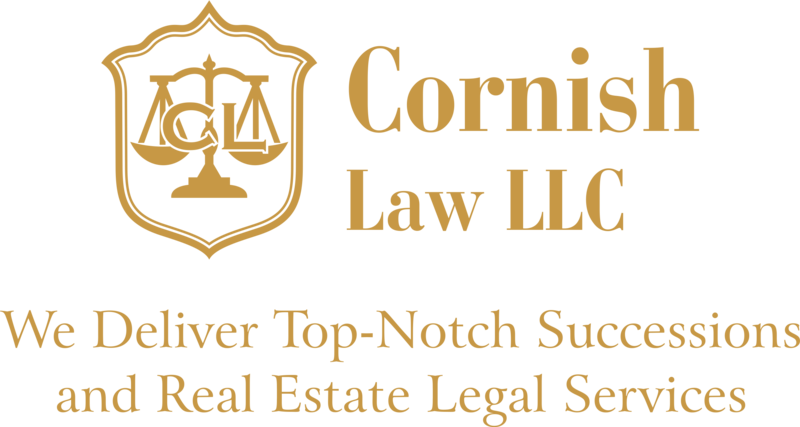 In other words, it is difficult, if not impossible to determine the identities of heirs in possession of the property. In Orleans Parish and surrounding areas, Hurricane Katrina hit, damaging indices and dispersing families throughout the United States. Additionally, unrecorded wills, the contact information for family members, and other critical documentation are gone, making it impossible to identify and locate heirs. Without this information, clear title cannot be judicially obtained. Assuming the property has been acquired by placing a winning bid on an ownership interest less than 100%, the remaining ownership interests must first be acquired. All parties with an interest in the property must be accounted for to take the next steps necessary to clear title. After obtaining a 100% ownership interest in the property, your attorney will file a Suit to Quiet Title, in addition to other actions to cancel all liens, mortgages, and encumbrances that cloud the title. Other obstacles that tax sale purchasers face involve procedural issues that are raised by the tax sale owners. The following steps must have been specifically followed by the city government, the tax sale purchaser, and by his or her attorney: 1) the notice of delinquency and tax sale must have been properly sent to each tax notice party, 2) proper publication and advertisement must have taken place, 3) notice of tax sale must be timely made to new tax sale purchasers, 4) the tax sale certificate (deed) must be properly authenticated and filed, and 5) post-tax sale notice must be timely and properly mailed to each tax notice party whose interest would be shown on a thirty-year mortgage certificate in the name of the tax debtor and whose interest was filed prior to the filing of the tax sale certificate that tax sale title to the property has been sold at tax sale. Hiring an experienced attorney with the tools to prevent and/or eliminate all of these unforeseen obstacles will make you a more successful investor and ensure that you will have merchantable title.